Maybelline Perez Villatoro, valedictorian at East Boston High School, paused at the East Boston Public Library for a portrait. Maybelline Pérez Villatoro’s senior year at East Boston High School included a full schedule of advanced placement classes, multiple hours of homework each night, the presidency of the school’s National Honor Society chapter, and a job on weekends. 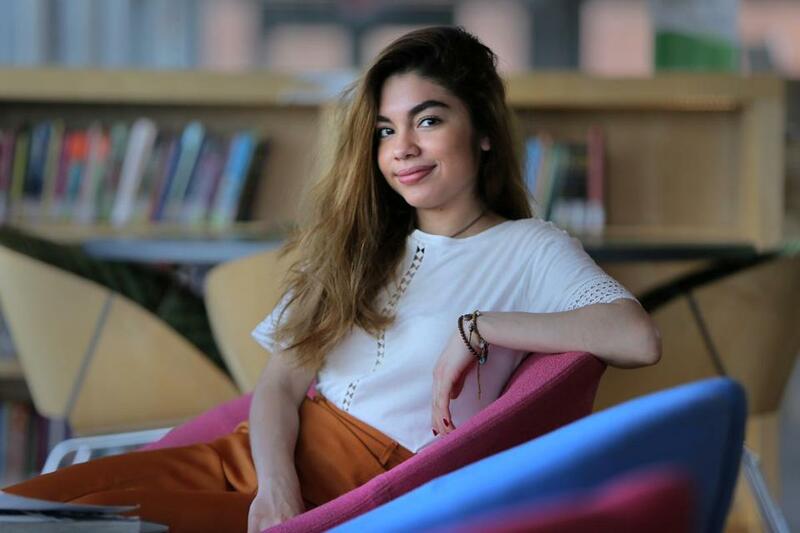 But as Pérez Villatoro did the hard work that would make her a valedictorian and earn her a full scholarship to Northeastern University, she wasn’t thinking only of herself. At a time when her fellow immigrants are highly scrutinized by the government and demonized in political rhetoric, she wants to use her success to motivate her younger brother, her classmates from around the globe, and many thousands of other young immigrants. Pérez Villatoro says she is just modeling the values taught to her by her hard-working parents, whose educations ended with the eighth grade. “Although they don’t have that much schooling, they are so wise,” she said in a recent interview. Through hard work, caring families, and perceptive teachers, these students made it to the top of their classes. Meet the 2017 Boston valedictorians. Benjamin Pérez and Flora Villatoro, both 42, brought Maybelline and her brother Benjamin to the United States in 2010. They wanted the children to attend school safely rather than fearing for their lives every day amid Salvadoran gang violence. “Gangs extorted my family; they threatened to kill us if we didn’t pay them money,” Pérez Villatoro, 19, said. She immigrated to the United States at age 12 speaking only two words of English: “hi” and “bye,” she said. But through English classes, audio books, and watching Nickelodeon and the Disney Channel with subtitles, she quickly learned the language. She became a standout student and a tireless volunteer, spending many hours tutoring younger children and planning events at her school and throughout her neighborhood that have highlighted the challenges and achievements of immigrants. Pérez Villatoro organized a screening of a documentary film about immigrants at the East Boston branch of the public library and shared her own story at the event, her teachers said. She planned a sticker campaign at East Boston High to show support for immigrant students at the diverse school, where many of her classmates were also new to the United States. To help immigrant classmates navigate the complex path to college, she handed out materials on how to apply to schools and seek financial aid. When her long days left her exhausted, she thought of her mother’s work in a beauty salon and her father’s many hours laboring in a restaurant kitchen. Pérez Villatoro’s achievements are a reward for her hard work and for that of her parents, who gave up their homeland to give their son and daughter better educations and better lives. Pérez Villatoro has embraced every educational opportunity that has come her way, her teachers said, and has worked hard to master material that hasn’t always come easily to her. “As a teacher, to have a student that wants to work that hard and when content gets really challenging … just wants to keep learning and keep pushing until she understands, that’s special,” said Kristen Cacciatore, who teaches AP chemistry and physics classes. For this hard-charging student, there have also been lessons about learning to accept that things can’t always turn out perfectly. Pérez Villatoro remembers vividly her walk to school on a windy, rainy morning her sophomore year, when the weather tore apart a Styrofoam model of a molecule that she had made for her chemistry class. Shannon Morey, her chemistry teacher, said Pérez Villatoro came into the classroom that day in tears. Pérez Villatoro said she is learning not to worry so much and to accept things that she can’t control. But that doesn’t mean she plans to be idle. 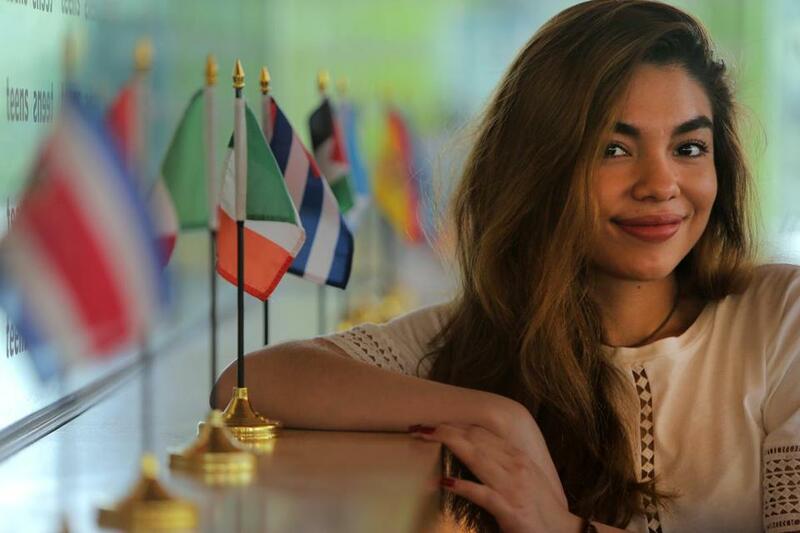 After she graduates from Northeastern, she said, she hopes to work for the United Nations, perhaps, or to return to El Salvador and work to improve the country’s educational system. Or to be a US senator.